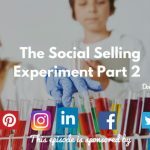 Home » TSE Podcast Post Page » TSE 838: Social Selling Practices That Will Drive Results For You Today! Your buyers are exactly like you. Statistics suggest that at least 57 percent of the buying process happens online before any conversations ever take place. 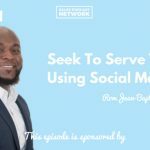 If you aren’t taking advantage of social selling, and if your prospects can’t find you online, you’re missing a huge opportunity to impact the sales process. 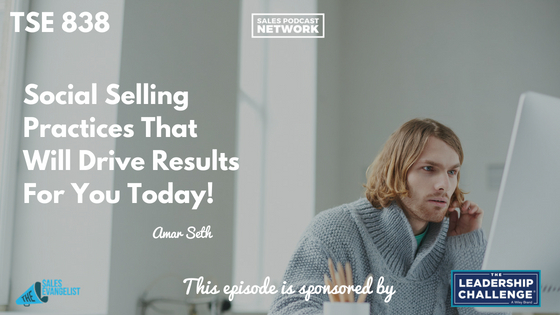 On today’s episode of The Sales Evangelist, we’re talking with Amar Sheth about why sales professionals must harness the power of social selling in order to stay relevant. Content offers the best opportunity to engage with your prospects. If you aren’t willing to provide information to your potential customers along the course of their journey, you have no choice of impacting them. How do you communicate your value and your expertise in a 30-second phone call? Instead of using sneaky techniques to reach your prospects, share material and you and your company and your knowledge of the industry. Instead of relying solely on cold calling, incorporate social selling into your day. Share information that educates your buyers. Imagine this: I post content that you find intriguing, and you click “Like” on the social media platform. That single, simple action will trigger your entire network. If you’re connected to 1,000 people on the platform, I now have access to a lot of potential eyes for my content. I can potentially reach second and third-level contacts because of a piece of relevant content. That would never happen on the phone. Plenty of free tools exist to help you connect with your prospects. Begin on LinkedIn, and look in the top corner for something called Pulse. It’s a social content aggregator that will help you find content that’s relevant to your audience. Use Twitter to query the search terms that matter to your prospects. Note the top 10 results you get. If the same names consistently appear in your results, make note of them. Find content that matters to your buyers. Go to sources that you know your buyer relies on and get content there. If you’re serious about engaging with your prospects, you must tap into social media. Tony Robbins frequently says that anything you try to accomplish is 20 percent mechanical and 80 percent psychological. Accept that the buyer has changed, and internalize it. If you have difficulty getting people on the phone in cold call outreach, understand that it’s not you. The buyer has changed. Think of it this way: would you rather spend 8 hours a day making phone calls, or attend one happy hour event where all the same people are gathered together after work? Spend all day cold calling, or spend one hour handing out business cards? You can’t close a deal if you can’t first have a conversation. Connect with Amar on Twitter or LinkedIn. Once you’ve applied the concepts you heard here today, message me or email me and let me know what your results were.